Mission hospitals around the world are facing a severe staffing crisis. World Medical Mission, the medical arm of Samaritan’s Purse, is helping to network volunteer Christian physicians and dentists to respond. Our partner evangelical mission hospitals notify us of their needs, and volunteer Christian physicians and dentists are approved by the ministry to serve in the needed roles. 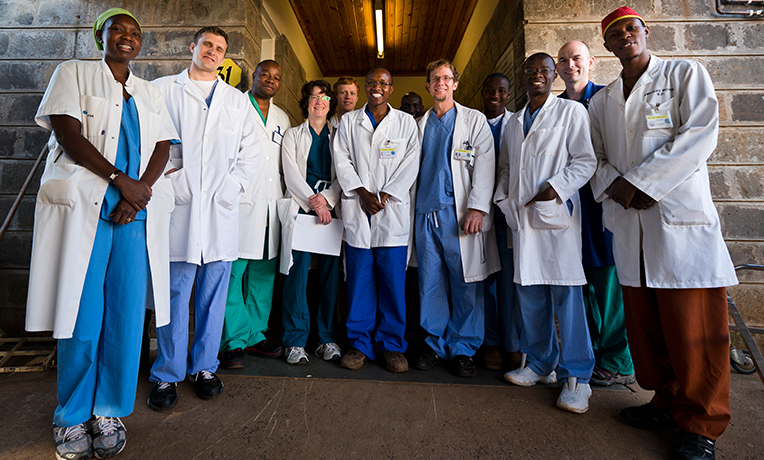 All medical volunteers are responsible to raise support for World Medical Mission to be used for expenses related to serving – travel, room and board, licensures, and visa – so by donating to World Medical Mission, you are helping doctors provide hope and healing in the Name of Jesus Christ. To donate to a specific World Medical Mission account, begin typing in the field below. The automated search results will display doctors by name. Use your mouse to select an account and then enter an amount in the field below. You will be able to review your selection before you complete your donation. Contributions are solicited with the understanding that World Medical Mission has complete discretion and control over the use of all donated funds. The charity will attempt to honor gifts preferenced to support particular doctors but the final decision on the use of all funds rests with the charity.